The majority of racing members attended the Ringland Half Marathon hosted by Norwich Road Runners, whilst 60 miles away in Cambridge a smaller contingent of GYRR members lined up for the start of their half marathon. Starting in waves 8 GYRRs took the start with the other 8346 competitors. There were 8354 finishers. Sunday 10th March was a wet and very windy Vitality Half Marathon. The sun did come out for a little while. Strong gusts of wind were knocking runners off their feet and making us feel like we were going backwards but we carried on. Fantastic runs from Gareth Davies with a time of 1:50:57 a new PB and Rachel Acamon-Carbonelli 2:01:19 also a new PB 👍🏼. Great run for Elaine Haggarty 2:28:49, Anna Spackman 2:38:56 and Steph Deeks 2:23:40. Crowd support was great given the conditions and really makes you want to do the London Marathon. As the sun was setting over Benidorm, Spain 3000 runners set off to run the half marathon and 10k. The half marathon course was 2 laps around the new and old towns taking in Levante and Poniente beaches. The support along the route was amazing - even those out on stag and hen do's! This was my first half marathon and I came in at a respectable 2.30:53. I've got the bug now so signed up for Bungay Half in April. Building on the success of the Broadland Half Marathon, Norwich Road Runners moved their premier race to the new venue. The Ringland Half Marathon, with the HQ based at the Roarr Dinosaur Park and with Dippy making an appearance the 40 Great Yarmouth Road Runners had an exciting race. Sunday 24 February could be one of the warmest on record as 15 GYRR embarked the pretty and hilly countryside of Bury St Edmunds for the races named after Bert Tarpley, one of the earliest Bury St Edmunds Pacers members. This time last year the beast from the East had rolled onto our shores but none of that nonsense this weekend as the sun shone beautifully over the magnificent expanse of Carsington Water in the foot hills of Derbyshire where Simon Bekker opened his 2019 touring account in the Carsington Water 10k. All off-road the route combined some ups, downs, twists and turns culminating in a fast finish in fine view of the Visitor Centre. 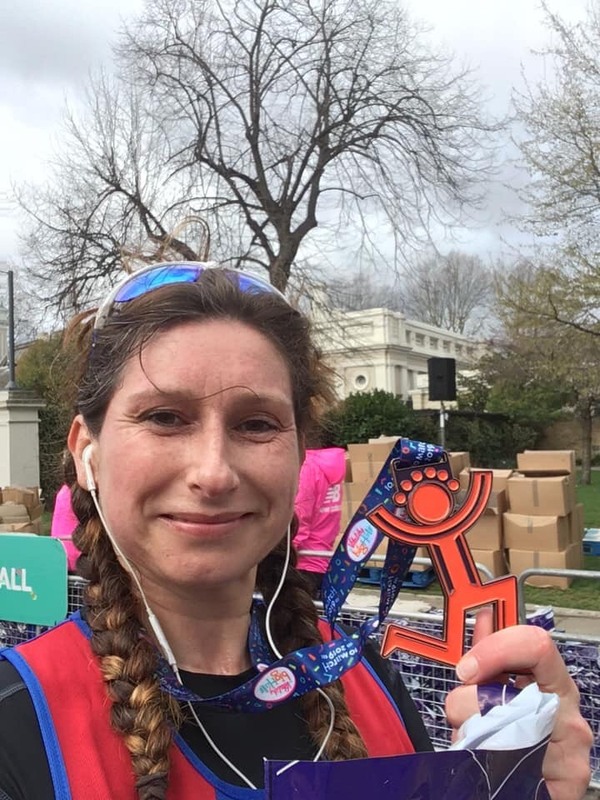 24th February 2019 was the 29th year of The Grand Brighton Half Marathon. One of the first major half marathons in the running calendar, the race is now one of the most popular races in the UK. Loving North Norfolk trails I decided to run the LDWA Winter Poppyline rather than Peddars Way which I've run twice before. With excellent weather for February the race was challenging but really enjoyable leaving Aylsham High School and going through 5 checkpoints at Itteringham, Holt, Sheringham, Southrepps and Felmingham and finally back to Aylsham. Thank you to Norfolk Gazelles for hosting this sell-out 10k road race which started and finished at Easton College. The sun shone and the marshals gave positive encouragement around the course to help the 21 GYRRs complete the course along with the 573 other competitors. Four GYRR members were enticed to London to be part of the inaugural Queen Elizabeth Olympic Park HM. 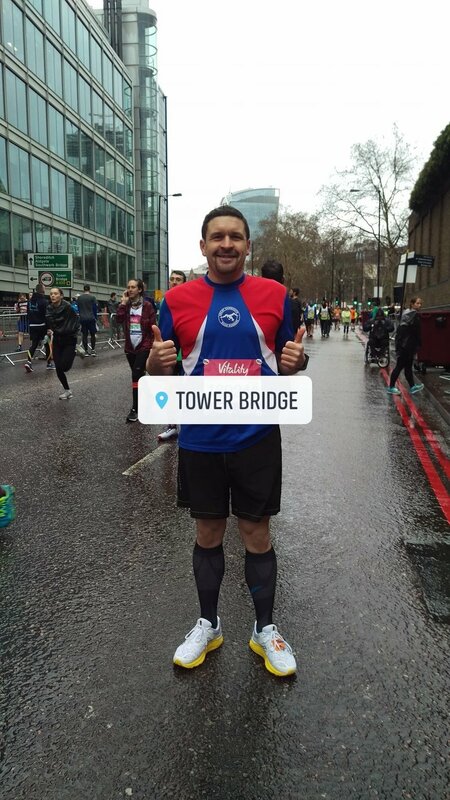 As the name suggests it was set in and around the Olympic Park and although there was no sign of Queen Elizabeth herself, 4000 plus runners made up for her absence. The course map was very twisty-turny and in reality it turned out to be just that. It was a course where you almost constantly saw other competitors running past or across a different section of the park. The undulations were frequent, but it was manageable in terms of numbers of runners. At no point did it feel over-crowded. Similarly, the bag drop and general organisation was such that it felt like a relaxed race with everything close by. All four GYRR members enjoyed it enough to say they would consider returning in the future and the medal was decent. At the end of Nowhere Road near the Marriot's Way is Whitwell Station near Reepham where 3 hardy Great Yarmouth Road Runners took on some "proper Cross country". Recipe for a Happy New Year Great Yarmouth Road Runners style = 22 members turning out to race the Wymondham 10k on New Year’s Day, 9 cracking PBs, 1 age group award and countless smiles from all the GYRRs for taking part in a sport they all love. Well done to the team. Elsewhere, other members enjoyed getting active for the first day of ‘Red January’. GYRR Mental Health ambassador, Fiona Williams, encouraged club mates to sign up to this worthy cause which is supporting Great Yarmouth and Waveney Mind, raising awareness of mental health and well-being. Paul ran the marathon for the 2nd year. This time he achieved his PB of 3 hours 32 and 43 seconds. Penny ran the HM. What a beautiful place. The race comes highly recommended! Well done on your new PB of 2.07.54 Kate! Tim ran 49.21 following up a 10k at Blenheim Palace on 21-10-18 which he ran in 49.06. Mark Stone’s race report…..Marc Evans first back for GYRR as usual, it was Mark and Rachel’s first time at Trowse, Ivan had fun and Mark enjoyed his McDonalds. You’re hired for the new year Mark!